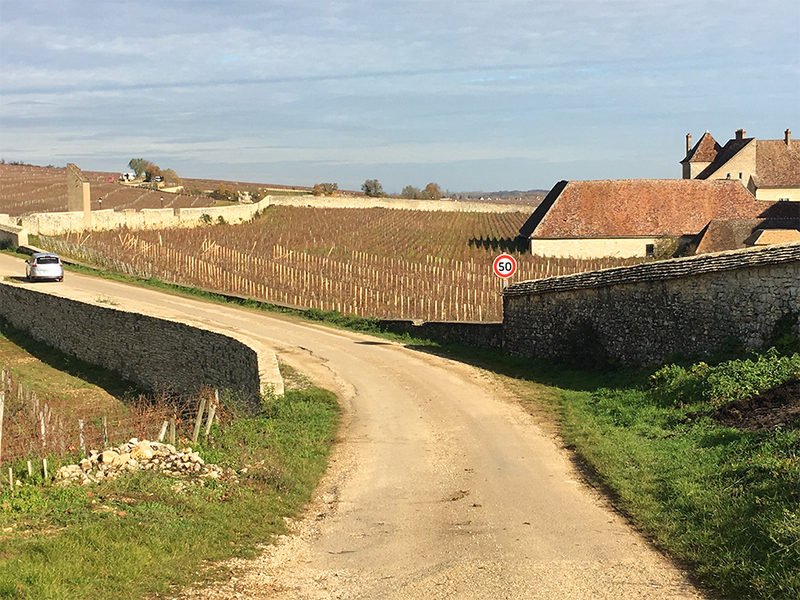 Despite extreme weather conditions in both 2016 and 2015, Burgundy’s Côte d’Or has produced an outstanding pair of back-to-back vintages studded with hauntingly beautiful reds. Following an extremely mild December-through-February period and a cool March, warmer temperatures at the end of that month led to a normal budburst. But hopes for a generous crop after a series of short vintages were soon to be shattered. 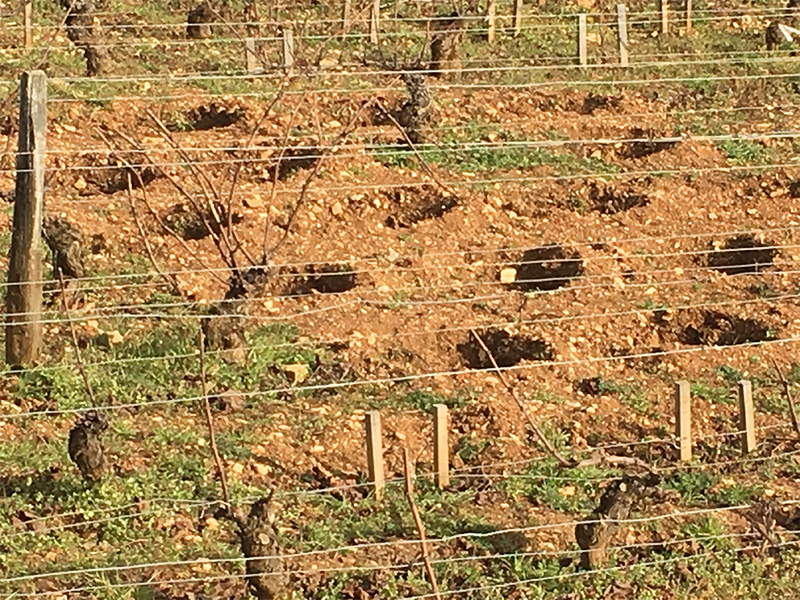 Conditions on the evening of April 26 and the following morning provided a perfect storm for the most damaging frost on the Côte d’Or since 1981. The evening of the 26th was humid, with some light rainfall. The skies then cleared and temperatures plunged during the night, with dawn breaking clear in penetrating sunlight. The unforgiving sun burned the young buds and green shoots that were covered with frozen water droplets – think of the effect of rays through a magnifying glass. Damage was frequently greatest at high altitude, as this is where the rising sun strikes the vines first. 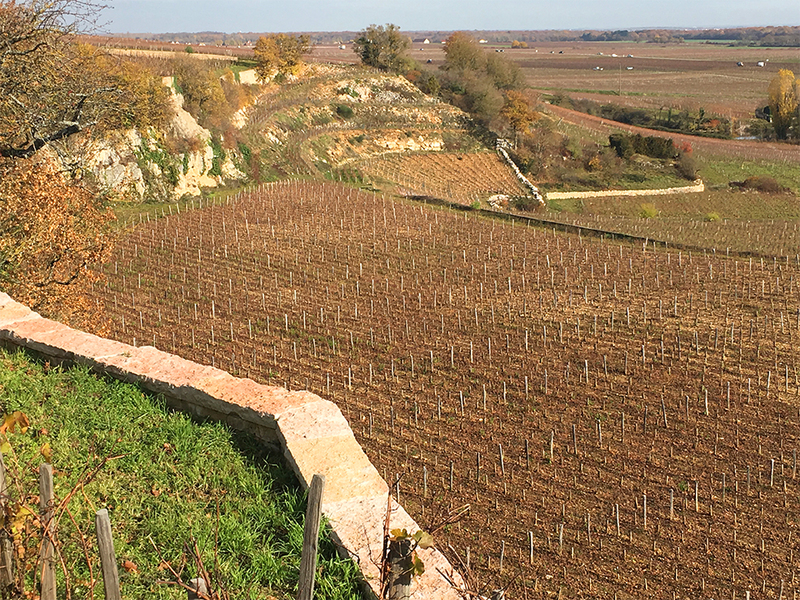 (Frédéric Lafarge in Volnay told me that he has never experienced frost damage that climbed as high into the premier crus as in 2016.) Lower spots were often protected by early-morning mist and thus escaped the worst effects of the sun. Conditions were calm; there was little or no wind to dissipate the heavy frost. Burgundy’s numerous combes, little east-west valleys that cut through the limestone escarpment of the Côte d’Or – and which are frequently the source of cooling breezes during the heat of summer – were conduits for calamity in late April, allowing a massive pool of frigid air to flow in. Damage was sustained over a huge area stretching from Chassagne-Montrachet in the south to Marsannay in the north. The slightest differences in temperature on the morning of the 27th could make all the difference. Every additional negative degree Celsius hurt, as some vines could survive -1 degree C. but not -2 or -3 – to say nothing of the -5 and -6 degrees C. that some growers reported in their coldest sites. Obviously, topography was critical here, and even man-made walls offered some protection to adjacent vines. 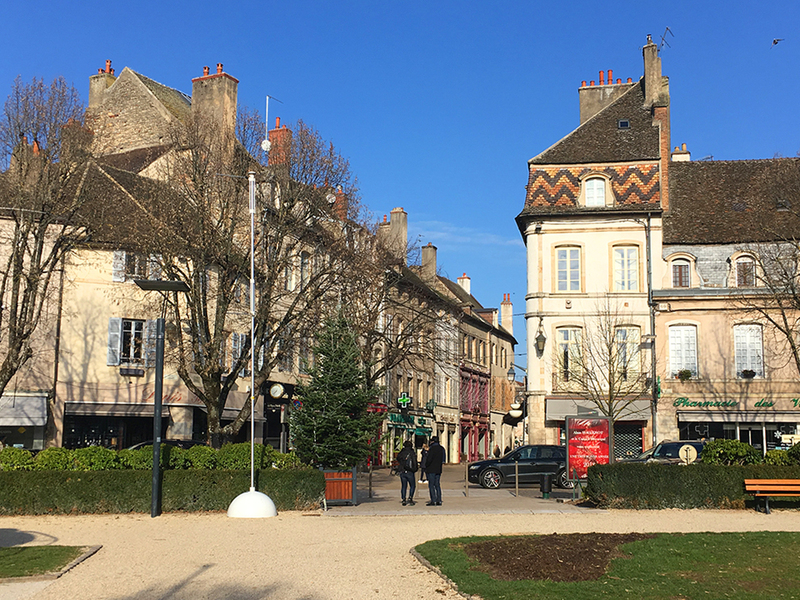 I reported last summer in some detail on frost damage suffered in the posh white wine villages of the Côte de Beaune (as well as on the Pernand side of the Corton hill and in much of Savigny-lès-Beaune). But the Côte de Nuits was also hit hard. Prémeaux suffered significant frost losses, but vineyards on the north side of the town of Nuits-Saint-Georges were largely spared. While much of Vosne-Romanée proper was relatively unscathed, Echézeaux and Grands-Echézeaux were devastated by frigid air coming in through the Combe d’Orveau, as was much of the higher portion of Clos Vougeot and the higher-altitude vineyards in the southwest part of Chambolle-Musigny, including Musigny itself. In fact, Chambolle-Musigny (along with the southern half of Marsannay), was the hardest-hit village on the Côte de Nuits, with very cold air also entering through the Combe d’Ambin at the top of the village. Yet Morey-Saint-Denis was barely touched by frost, with yields here generally normal – and in some cases the highest they had been since 1999! In Gevrey-Chambertin, higher-altitude vineyards close to the Combe de Lavaux (such as Les Veroilles, Poissenots, Lavaux Saint-Jacques and even Clos Saint-Jacques) suffered significant crop losses. 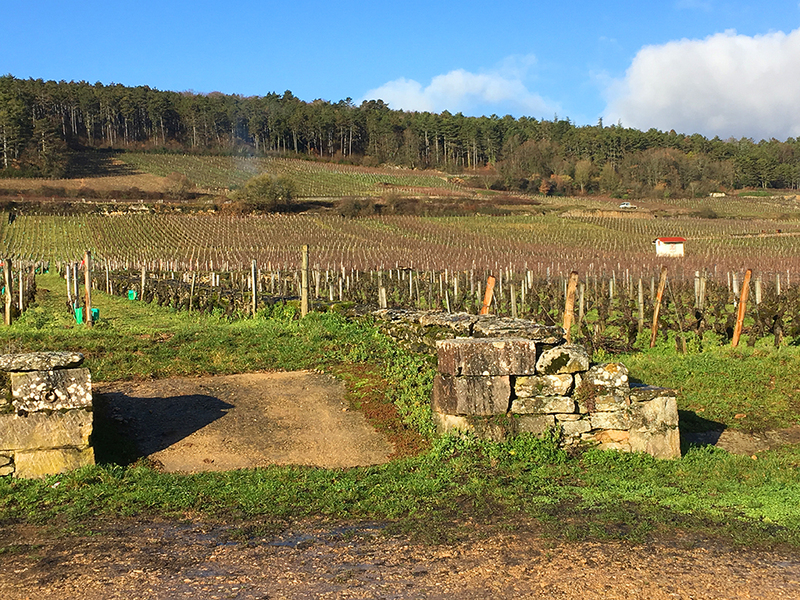 On the southern side of the village, Chambertin was pummeled (Eric Rousseau lost two-thirds of his production of this grand cru in 2016), as was part of Latricières-Chambertin. As if the widespread frost wasn’t enough for growers to deal with, the Côte d’Or also suffered from the strongest mildew pressures encountered in many years, owing to the brutally wet, consistently humid spring and the high number of vines weakened by frost. Constant spraying was critical from early May through early July, with little margin for error: some estates did as many as 15 separate treatments. Until the soils began to dry out in July, workers donned space suits and backpacks to do this work manually, especially in lower, flatter sites, as the vineyards were too muddy to allow the use of heavy machinery. Some organic producers, desperate to prevent further crop losses following a succession of commercially difficult vintages, decided to give up their certifications and use commercial sprays in order to prevent their vines from deteriorating. Even so, damage to the foliage could affect the ripening process and result in further crop losses, especially in lower spots where the mildew was more widespread and more complicated to treat. The first period of drier, warmer weather arrived at the end of June, and conditions were mostly superb through July, August and September. Most sections of the Côte d’Or received an inch or two or much-needed precipitation between August 18 and 20 to revive the vines. Before the weather changed in early summer, many growers had anticipated doing virtually two harvests, one for the sites that had largely escaped the frost or were carrying tiny yields, and the other for vineyards that had been stunned by frost and featured mostly grapes from the second set of buds (the contra-bourgeons), which typically appeared two to three weeks later. But the ripening process picked up speed during the second half of the summer, dramatically reducing differences between remaining first-generation fruit and the second set of buds. (It should be noted that secondary buds are routinely less fruitful than primary buds, rarely producing more than one or two clusters.) While some growers used this fruit to supplement their tiny quantities and to add some pungency to their wines, others had no interest in using the second-generation grapes, as they often bring underripe tannins as well as more malic acidity, which of course can result in flatter wines after the malolactic fermentations occur. Despite the very warm days in July and August, nighttime temperatures remained moderate, allowing the grapes to retain healthy levels of malic acidity. Well-timed rainy spells in September helped to goose the maturing process, generally without causing dilution or a significant drop in acidity: modest rain fell on September 4 and 5 and then again during an on-and-off rainy period between September 15 and 18. Virtually no one began harvesting Pinot Noir before September 19, with a majority of producers on the Côte de Beaune beginning between September 19 and 24. Some Côte de Nuits growers started that same week but many waited until the following Monday, the 26th, and finished up in early October. A few of the traditionally latest harvesters waited until the first week of October to begin. The last third of September provided a relatively wide window for harvesting under near-ideal conditions: dry, sunny days with afternoon temperatures ranging between the upper 60s and upper 70s. There was modest rainfall on the night of September 30 into October 1, (which the later pickers insisted had very little effect on the balance of the fruit,) then beautifully dry, cool, more autumnal weather during the first third of October. Luckily, the grape skins remained healthy until the end, and, for the second consecutive year, rot was not an issue. In fact, very little sorting of the fruit was necessary at harvest time, generally only to eliminate underripe clusters and berries. The harvest went fairly quickly, in large part because there was relatively little fruit to pick, with many smaller estates picking virtually all of their crops in five or six days. As a general rule, growers began harvesting with their frosted vineyards, as the tiny quantities of grapes were often high in sugar; others waited for better phenolic ripeness, even at the risk of losing acidity. Owing to reduced quantities of fruit, many growers had to vinify in smaller tanks than usual, in some cases purchasing them just for this purpose. A natural temptation with these tiny lots was to vinify with some whole clusters, which added much-needed volume to the tanks and could also draw out the fermentations. But numerous winemakers who were concerned that their stems were not fully ripe did more destemming than they usually do. Many made a point of extracting gently for fear of introducing bitter tannins into their wines, cutting back on their total number of pigeages (punchdowns of the caps to immerse them in the juice) and in some cases replacing them with remontages (pumpovers to keep the cap wet). Some producers I visited this fall also reduced their percentage of new oak for similar reasons; of course, many of them had already cut back dramatically on their orders for new barrels earlier in the season, as they anticipated lower quantities of fruit. Are the differences between frosted and non-frosted wines immediately apparent? Most growers say not necessarily, and that is my opinion as well. Yes, frosted wines made from tiny yields tend to convey a strong impression of density. These wines were typically made from smaller berries and a higher percentage of millerandage, as the vines, weakened by the frost, struggled through the flowering. But that’s not to say that these wines are out of whack. If Chardonnay is much more forgiving of high yields than Pinot Noir is, Pinot has a greater capacity to mask extreme weather events – and the resulting tiny yields – of a growing season. Chardonnay from small yields is commonly characterized by one sort of imbalance or another – typically a strong phenolic, or even tannic, impression, excessive alcohol or very low acidity – but that’s not necessarily the case with Pinot Noir. As for the wines made from more normal crop levels: numerous winemakers I visited in November used the same word to describe their most successful wines from vines that escaped the frost: they said the wines were more relaxed. And at the level of the producers I visit each year, relatively few wines made from full crop levels struck me as lacking in concentration, but there were a few. So . . . some of the vintage’s best wines are from full crops and from tiny frost-shortened yields – and the same can be said of the least successful ‘16s! 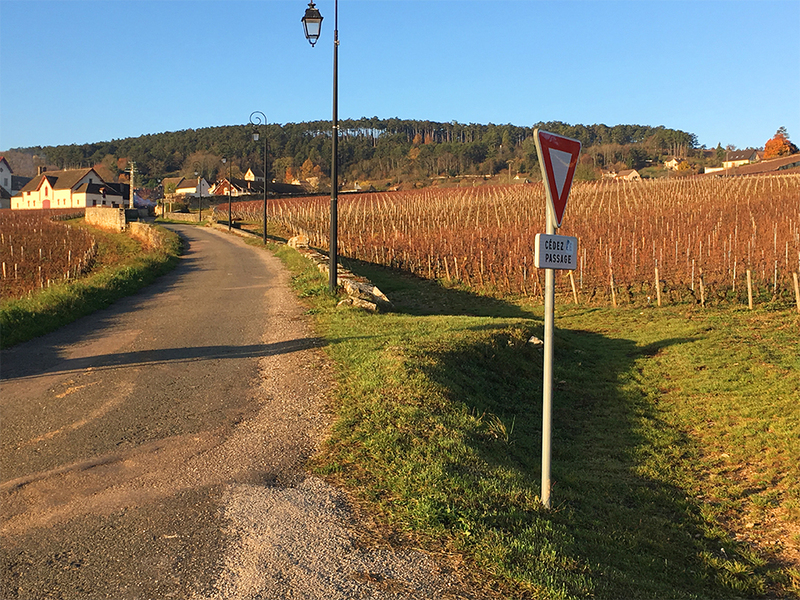 Vintage assessments are rarely straightforward, least of all in Burgundy, and 2016 is a prime case in point. Interestingly, when I think of more classic vintages with complex treble notes to go with their ripe fruit elements, I think more of fresh red fruits than black. And indeed many ‘16s are characterized by raspberry, strawberry and red cherry, and sometimes even cranberry and pomegranate. But in some cellars the ‘16s are clearly blacker in character ­– black cherry, blackberry, blueberry and cassis, sometimes with licorice, violet, menthol and dark chocolate nuances. And very few ‘16s show any signs of surmaturité. Grape sugars in 2016s were normally healthy but rarely excessive – typically ranging from the low 12s to 13% – and generally lower than in 2015. But some vineyards yielded fruit at 13.5% or even higher, often from frosted vines that carried very low crop levels. Many top cuvées – and in some cases, entire cellars – were not chaptalized but winemakers often added small amounts of sugar simply to extend the fermentations for an extra day or two or to bring their wines up to the octane level that they consider appropriate for premier and grand crus. Virtually no one I visited admitted to acidifying his or her musts in 2016. Most described natural acidity levels as adequate and pHs as healthy. Because the 2016s began with more malic acidity but less of the more stable tartaric acidity than the ‘15s had, they changed more during their malolactic fermentations, but a sizable minority of growers still reported that post-malo pHs were slightly lower than those of corresponding 2015s. The earlier crop of wines, which generally feature a higher level of total polyphenols (there’s no shortage of tannins in 2016, though), also frequently show somewhat less refined tannins than the ‘16s, especially where the vines suffered from hydric stress. I should note that a number of growers I visited expressed the opinion that their ‘15s have plusher tannins, not to mention more buffering mid-palate material. But I’d counter that in many 2015s, some of the glorious floral and mineral high notes of the wines have been shaved off by the heat and drought of the growing season. While the ‘16s generally convey site differences with notable clarity, the 2015s are much more dominated by their hot, sunny vintage character in the early going. 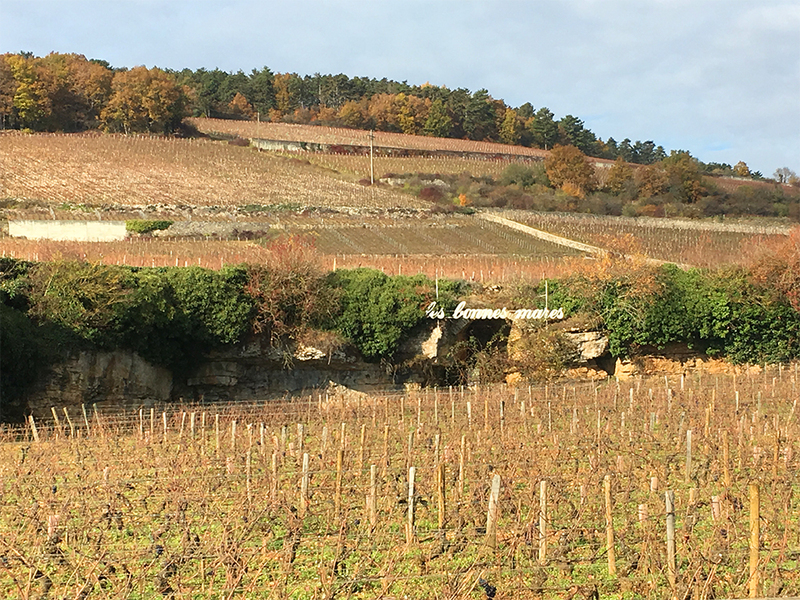 Some Burgundy purists are already claiming that the ‘15s are too ripe for their tastes, but I wonder if these drinkers are responding more to what they’ve heard about this very warm, very dry growing season than to the wines themselves. In any event, they will be missing a lot of great bottles if they avoid 2015. This is a very rich and rather tannic vintage from mostly thick-skinned grapes and consistently low yields, and it has produced many outstanding, mostly large-scaled wines and some that are downright massive. Although the summer was hot and dry and the harvest very early, relatively few wines made by top producers show signs of cooked fruit. Rain in August came mostly in the nick of time for vines that had begun to suffer from hydric stress. Still, as I say, owing to the dry conditions, the vintage’s tannins, although ripe, are sometimes tougher and less refined than those of the ‘16s. For all its ripeness, fleshiness and solaire character, the 2015 vintage also yielded many surprisingly red wines, albeit occasionally with obviously elevated or even liqueur-like ripeness. Routinely, after tasting through a producer’s 2016s from barrel or tank, when I turned my attention to the bottled 2015s, the first wine struck me as much more ripe, sometimes exotic and occasionally a bit roasted. 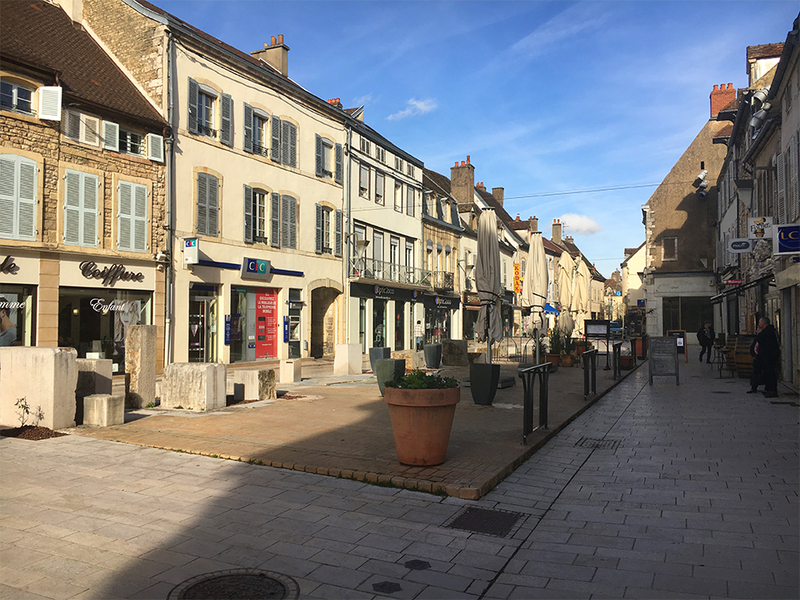 But by the next sip, or the next wine, I was able to acclimate to the earlier vintage and appreciate the density, intensity, sucrosité and structure of the ‘15s without having the feeling that I had left Burgundy for the New World. Acidity levels range from lower than average to quite sound; malic acidity levels were generally very low but the tartaric component of total acidity was typically quite healthy in the 2015s. While only the best wines show the serious mineral/acid tension of vintages like 2014 or 2010 (many more producers compared their ‘16s to those earlier mineral-driven vintages), the ‘15s are richer, riper wines with terrific depth of fruit. They are less extreme than previous hot years like 2009 and especially 2003, and their tannins are generally sweeter than those of 2005, a vintage to which a number of Burgundy growers compare the young ‘15s. And they are generally deeper than the young ‘16s, which is why it’s entirely possible that the best ‘15s will outlast their 2016 counterparts. Many ‘15s appear to be shutting down already and are tough going today, with their savory soil tones and tannins often dominating their fruit at this early stage. Only a clairvoyant can possibly know for sure whether the ‘15s that are going into a shell today will stay that way for 3 years or 13 (or 23). But there are also many ‘15s that seduce now for their thickness, sweetness and mouthfilling fruit, and these wines can give great pleasure, particularly with a bit of aeration. The vintage’s less-successful examples, though, may not have enough acidity for long life in bottle or enough true ripeness to retain their fruit until their tannins begin to resolve. A year ago, the majority of growers maintained that their 2015s would be drinkable early on and be unlikely ever to go through an extended dumb period. That’s no longer the case. Many ‘15s are already beginning to shut down in bottle, showing their tannic side. There’s simply too much phenolic material here for the wines to evolve along smooth, steady aging curves. Today, many growers say they’ll be happy to forget about drinking their ‘15s for at least seven or eight years, while enjoying their more aromatic and approachable ‘16s in the meantime. But the ‘16s have the balance and depth to age gracefully, and the better ‘15s have the tannic mass to be even longer-lived. In recent years, I have devoted four weeks each fall to tasting red Burgundies, two in November and then, following a short break for Thanksgiving and palate repair, another two in December. This year, owing to a nagging sinus issue, I had to postpone my December visit until January. So this article includes the results of my November tour (as well as some follow-up tastings in New York in December), with many more estates to follow shortly.